What does it mean to “see” God? (From St. Ireneaus) “There is one God, who by his word and wisdom created all things and set them in order. His Word is our Lord Jesus Christ, who in this last age became man among men to unite end and beginning, that is, man and God. The prophets, receiving the gift of prophecy from this same Word, foretold his coming in the flesh, which brought about the union and communion between God and man ordained by the Father. From the beginning the word of God prophesied that God could be seen by men and would live among them on earth; he would speak with his own creation and be present to it, bringing it salvation and being visible to it. He would free us from the hands of all who hate us, that is from the spirit of sin, and enable us to serve him in holiness and justice all our days. Man was to receive the Spirit of God and so attain to the glory of the Father. The prophets, then, foretold that God would be seen by men. As the Lord himself says: Blessed are the pure of heart, for they shall see God. In his greatness and in expressible glory no one can see God and live, for the Father is beyond our comprehension. But in his love and generosity and omnipotence he allows even this to those who love him, that is, even to see God, as the prophets foretold. For what is impossible to men is possible to God. By his own powers man cannot see God, yet God will be seen by men because he wills it. He will be seen by those he chooses, at the time he chooses, and in the way he chooses, for God can do all things. He was seen of old through the Spirit in prophecy; he was seen through the Son by our adoption as his children, and he will be seen in the kingdom of heaven in his own being as the Father. The Spirit prepares man to receive the Son of God, the Son leads him to the Father, and the Father, freeing him from change and decay, bestows the eternal life that comes to everyone from seeing God. *What is Byssus? – Byssus is a cloth of exceeding fine texture used by the ancients. Fit for Royalty, a King, a High Priest, and God. Known as “sea-silk,” it is more rare and precious than gold. Made from the long tough silky filaments of Pinna Nobilis mollusks that anchor them to the seabed–strong enough to resist the extreme hydrodynamic forces of the sea. Byssus has a shimmering, iridescent quality which reflects light. Byssus is extremely delicate, yet strong at the same time. It resists water, weak acids, bases, ethers, and alcohols. It can’t be painted, as it does not retain pigments, it can only be dyed; and then, only purple. It can also last for more than 2000 years. Byssus is mentioned in the Bible forty times–For just a few examples: in Genesis, Pharaoh took off his ring from his hand, and put it on Joseph’s hand, and arrayed him in clothes of byssus, and put a gold chain on his neck. (Genesis 41) The curtains of the tabernacle (Exodus 26) were twined with byssus. Kingly and priestly garments were made with byssus. (Exodus) Solomon made a veil for the Holy of Holies with cherubim embroidered upon it in byssus. 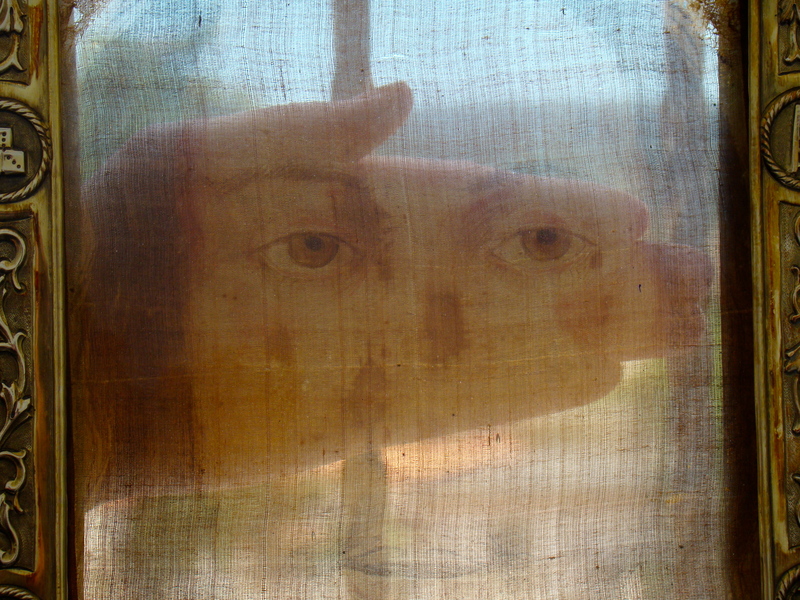 The Veil of the Holy Face of Manoppello is also made of rare, precious byssus silk. 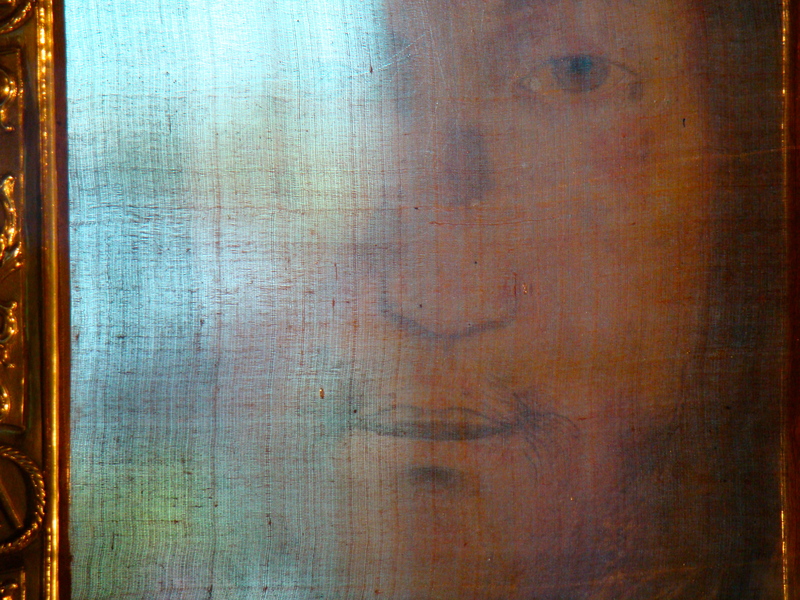 The skill needed to weave a byssus veil as fine as the Veil of the Holy Face of Manoppello is exceedingly great. 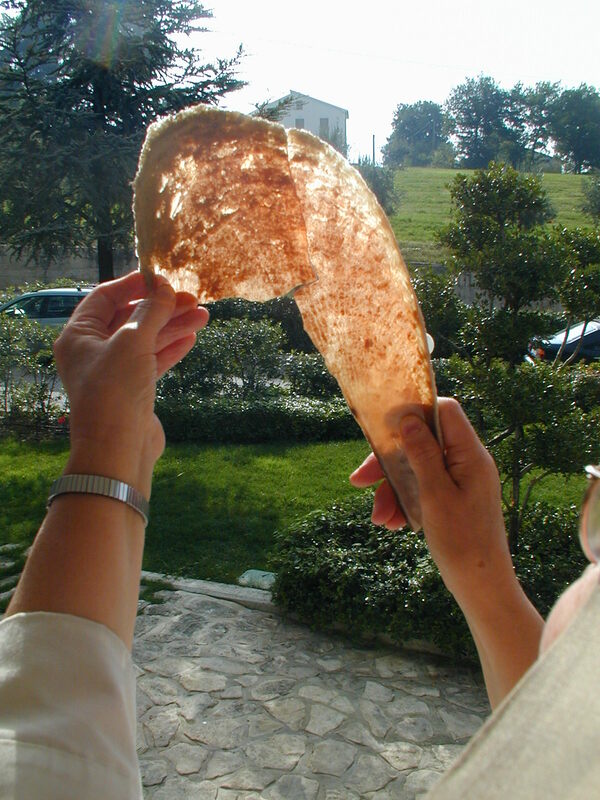 Chiara Vigo, known as “the last woman who weaves byssus” has said that neither she or anyone alive today could duplicate the gossamer-thin Veil, which is sheer enough to read a newspaper through. The weave is so delicate, she says, that only the nimble fingers of a very skillful child could weave something so fine. 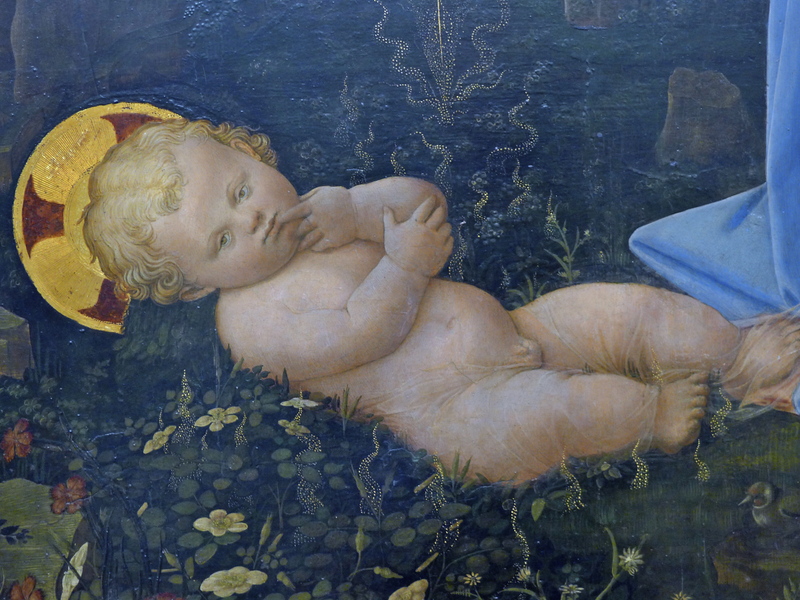 It has been speculated–perhaps even the young Blessed Virgin Mary learned to weave byssus, as a young child in the temple, for the priestly garments. 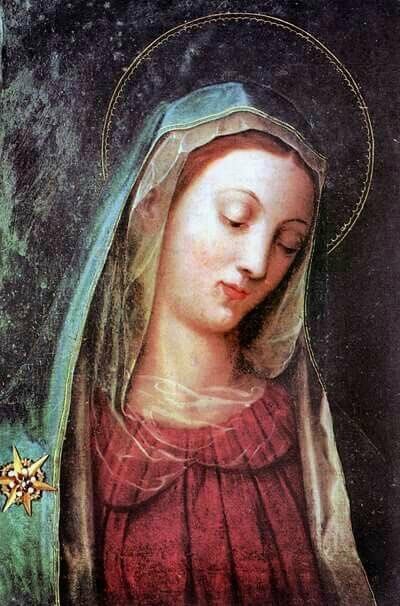 Perhaps, she herself wove this particular miraculous Veil with her own pure hands, which was placed as a face-cloth (sudarium) on the Face of Jesus in the tomb, and is thought to have recorded the very moment of the Resurrection of Jesus, true God and true Man, High-Priest and King!